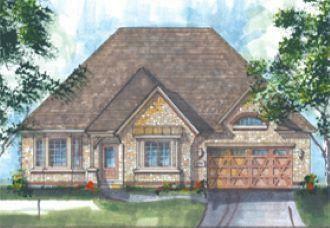 As You Enter the Grand Foyer of the Innisbrook Ranch, the formal Dining Room or Den and 2nd Bedroom flank each side. The Great Room with Vaulted Ceiling opens to the Kitchen creating a comfortable place to entertain. The Master Suite with Tray ceiling opens to a sumptuous Master Bath complet with his & her separate vanities, and oversized ceramic tiled shower with seat. Other options are available! This Homesite comes with a Full Basement! Other Homesites accommodate English or Walkout Basement. Custom Builder!